In this week’s video review, the Winding Road Racing team talks about your first point of contact with your racecar: the steering wheel. 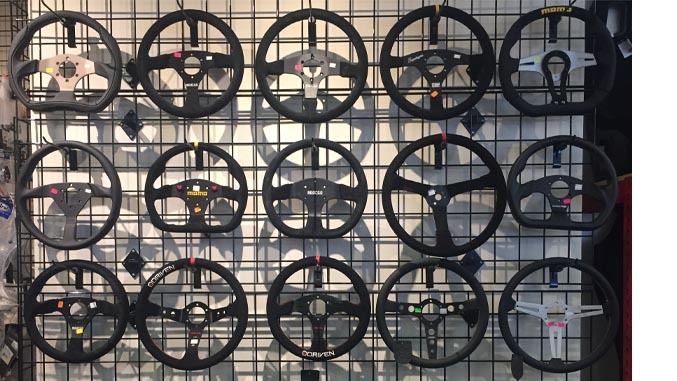 Winding Road Racing carries a full line of auto racing steering wheels from AiM Sports, Momo, OMP, Sparco, Longacre, and more. If you’re unsure about fitment, shape, pricing, accessories or any other option, call our product specialists at 512-994-0656 or stop by one of our three retail locations in Texas, California or Kentucky. Browse the steering wheels discussed in our review above: Driven steering wheels, Sparco steering wheels, and Momo steering wheels.